The United States’ involvement in the Vietnam War was a divisive chapter in American history. Lending economic and military support to the South Vietnamese government against the Communist North, Washington’s participation in the conflict lasted from the early 1950s to 1973. While in the beginning there was general public acceptance of the war, by 1965 opposition to American involvement in Vietnam grew due to the increasing deployment of troops and the rising number of casualties. In July of 1965, the U.S. government doubled the number of draftees to 35,000 each month. Graphic news footage of the fighting also contributed to the public’s disapproval. Opposition took the form of anti-war demonstrations and draft resistance, and protests broke out on university campuses across the country. Although the U.S. officially withdrew from Vietnam in 1973, it left an indelible mark on the lives of veterans, local communities, and American society. 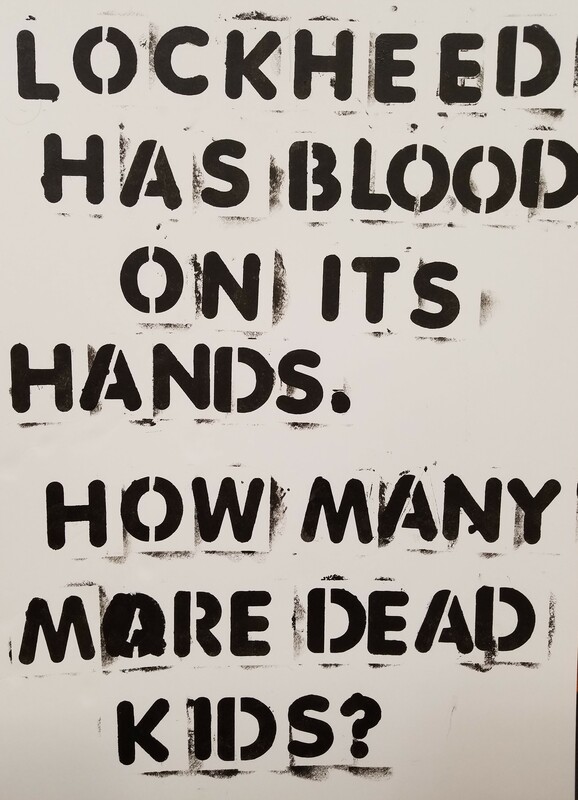 During and after the United States’ involvement in the conflict in Vietnam, citizens reacted to the war through varied artistic expression. 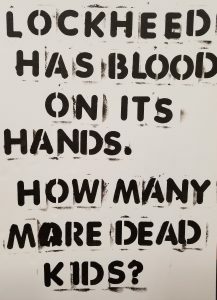 Art became a powerful form of protest and activism, as it was used to raise awareness of social issues and inspire Americans to join the movement against the war. Additionally, once the U.S. began to withdraw troops, people used art to commemorate the war and the loss of life, as well as to consider U.S. involvement overseas. 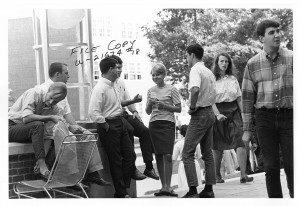 The creative response demonstrates how people participated in American society and civic life, as well as how they contributed to a growing social movement during the 1960s and 1970s. Poras Collection of Vietnam War Memorabilia: This collection includes a wide variety of materials from the Vietnam War era, including buttons, photographs, fliers, booklets, posters, stamps, flags, audio recordings, and comic books. 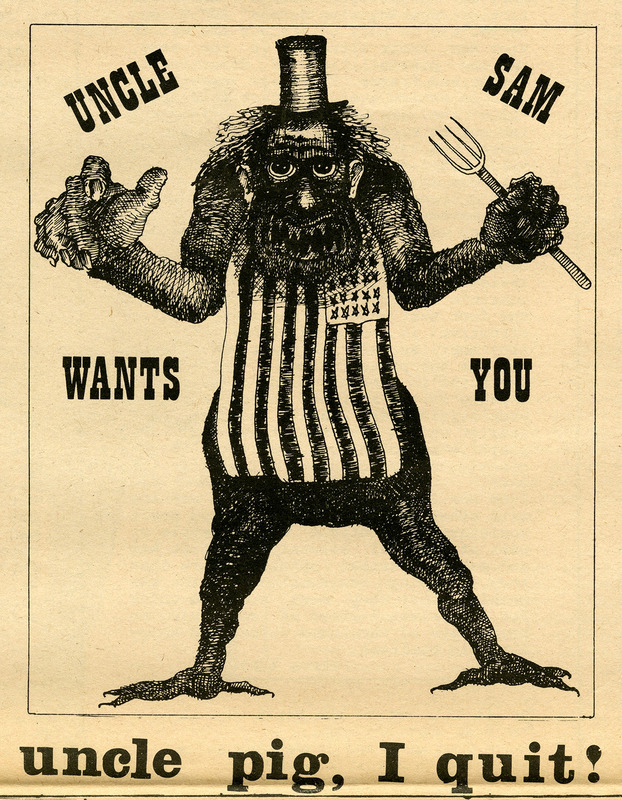 The collection contains pamphlets and flyers with artistic illustrations in protest of the war, as well as official propaganda in support of the war. The finding aid is available at https://collections.ctdigitalarchive.org/islandora/object/20002%3A860115772. First Casualty Press Records: This collection is comprised of poetry and fiction submitted to First Casualty Press to be considered for publication. 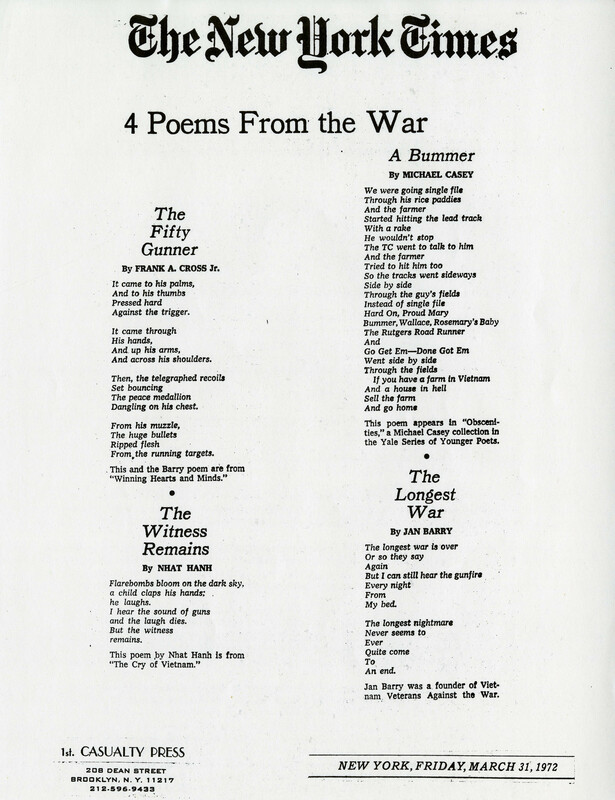 The works were written by Vietnam War veterans concerning their experiences of the war. The collection also contains correspondence between the First Casualty Press and authors, publishers, and readers, as well as materials related to the publication process. The finding aid is available at https://collections.ctdigitalarchive.org/islandora/object/20002%3A860138522. Adam Nadel Photography Collection: This collection consists of thirteen large photographs of Cambodian and Vietnamese people who were affected in some way by the Vietnam War. Recognized internationally for his work, Adam Nadel completed a project on war and its consequences in 2010. Many of the individuals featured in the photographs of this collection are war veterans, both male and female. The finding aid is available at https://collections.ctdigitalarchive.org/islandora/object/20002%3A860114426. Bread and Puppet Theater Collection: Founded in 1963, the Bread and Puppet Theater was made up of an experimental theater troupe whose performances combined puppets, masks, and dance. Performances focused on political and social issues, including protesting the United States’ involvement in the Vietnam War. 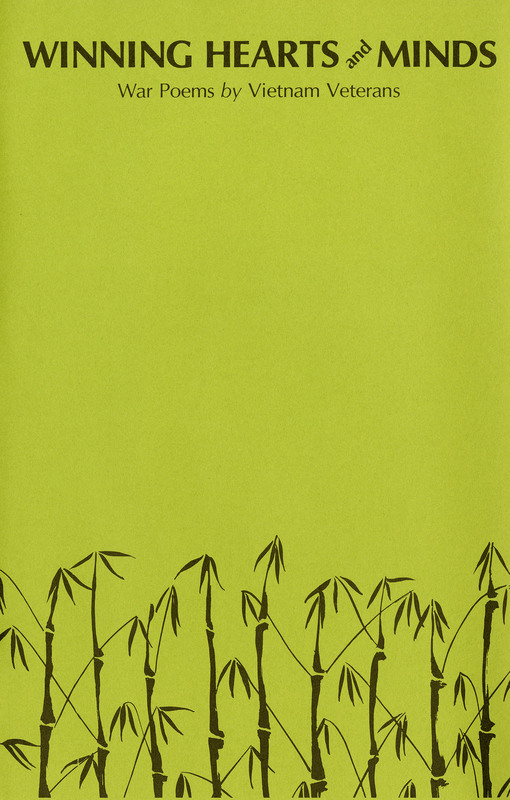 The collection consists of illustrated story scripts, handbills, and performance programs, including a small newspaper from 1967 with illustrations from the theater’s story script about the violence in Vietnam. The finding aid is available at https://collections.ctdigitalarchive.org/islandora/object/20002%3A860130712. Storrs Draft Information Committee Records: The Storrs Draft Information Committee was a counseling center on the University of Connecticut’s campus that was established to help men of draft age during the Vietnam War. This collection includes information associated with draft counseling, draft resistance, and protest movement groups at UConn. 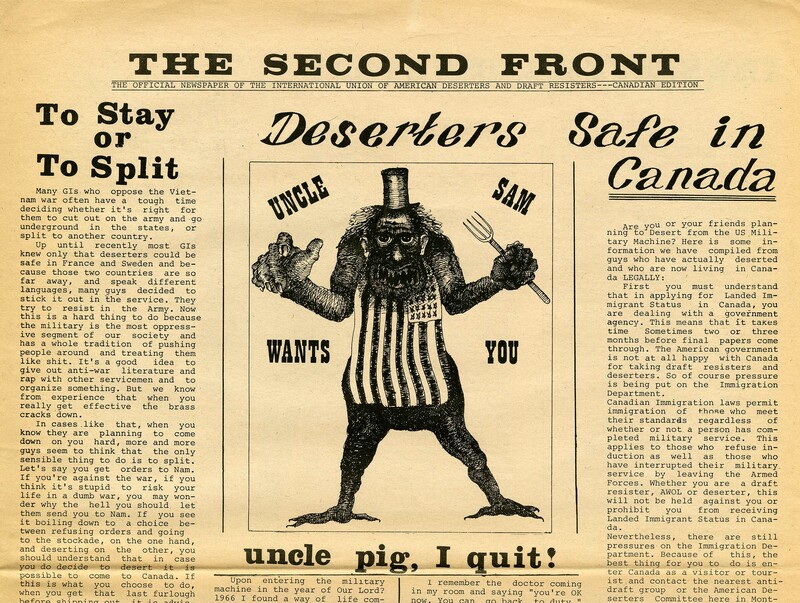 In particular, the collection contains information on how to renounce U.S. citizenship, documents detailing draft law, and American deserter and draft resistance newspapers from Canada. Some of these documents contain unique illustrations and photographs. The finding aid is available at https://collections.ctdigitalarchive.org/islandora/object/20002%3A860124336. 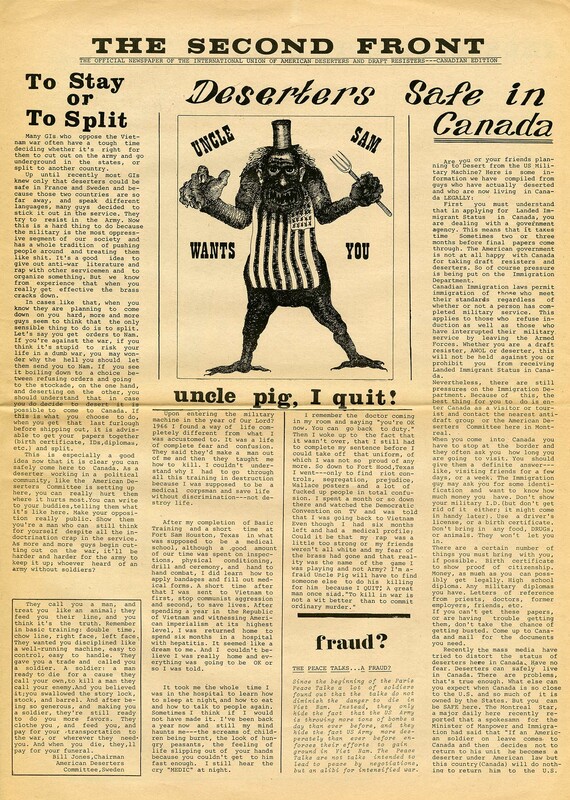 Alternative Press Collection (APC): Founded by students in the late 1960s, the APC includes newspapers, books, pamphlets, and artifacts covering activism for social and political change. This includes multiple volumes of a bulletin called the “Viet Report” from 1965-1986. 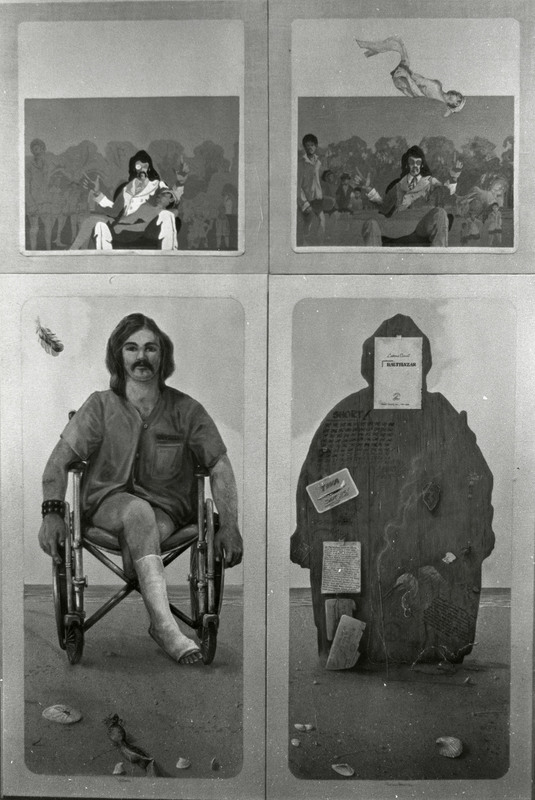 While the “Viet Report” primarily consists of articles from a variety of perspectives on the war and the state of Vietnam, artwork in the form of illustrations and photographs are also included. These reports can be found in our digital repository beginning here: https://archives.lib.uconn.edu/islandora/object/20002%3A01641656. 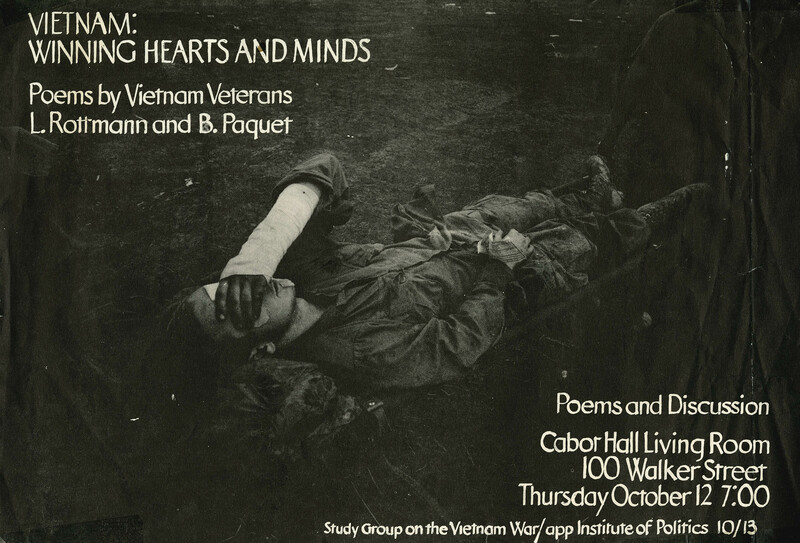 We invite you to view these collections in the reading room in Archives & Special Collections at the Thomas J. Dodd Research Center if you need resources on the artistic response to the Vietnam War. Our staff is happy to assist you in accessing these and other collections in the archives. This post was written by Alexandra Borkowski, a UConn PhD student and student assistant in Archives & Special Collections. 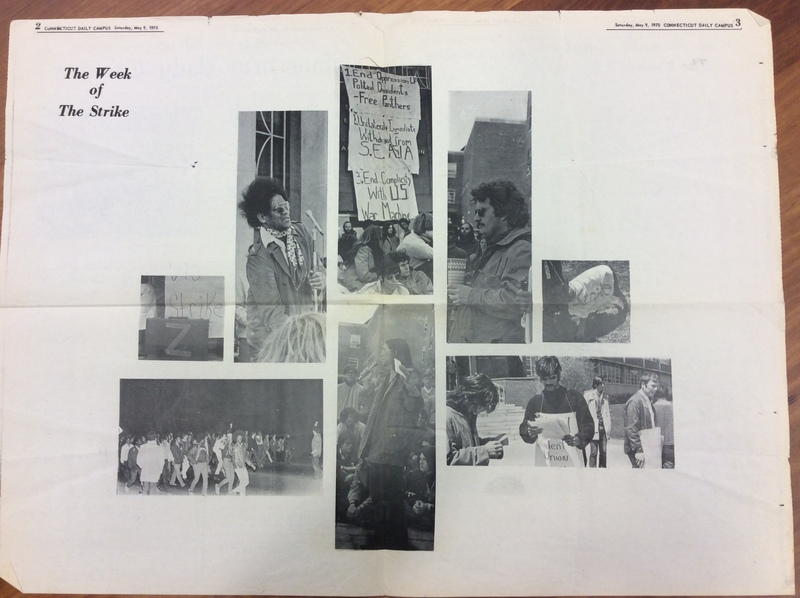 Moments of student protest on UConn’s campus demonstrate the continuity and relevance of student activism for the Alternative Press Collection held at Archives and Special Collections. While the topics of protest often change with the political and social context of the moment, sometimes the similarities can be uncanny. History, so the cliché goes, has repeated itself. Currently on display at the Archives & Special Collections is the guest curated exhibit Veteran’s Expressions After War: Every Veteran’s Life Tells a Story and Every Veteran Leaves a Legacy, by Robin Albarano and Jordan Kiper. 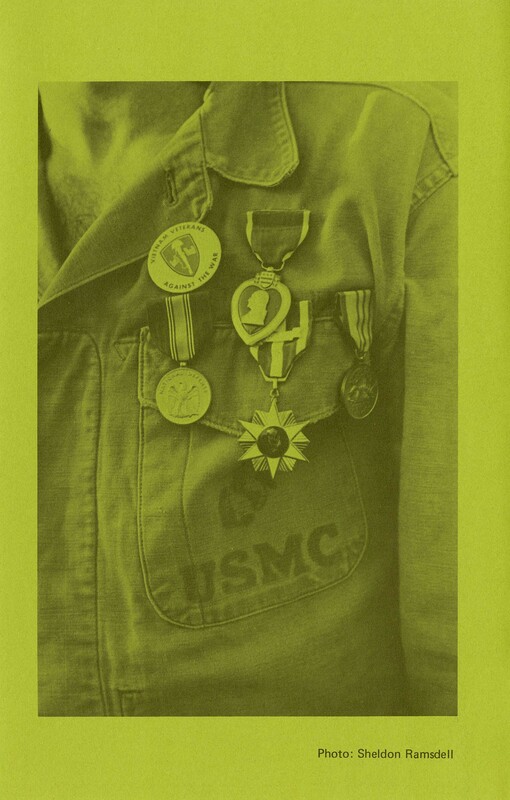 This exhibit features visual art, poetry, correspondence, photography and ephemera relating to veteran’s experiences from the Vietnam War to the War in Iraq. Materials featured draw from The Alternative Press Collection, Cal Robertson Papers and First Casualty Press. 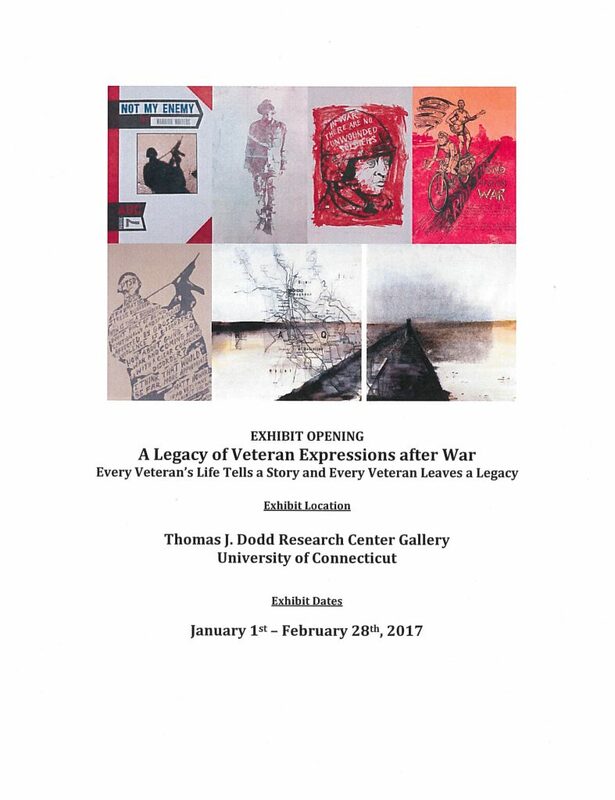 This exhibition will be on display in the Thomas J. Dodd Research Center Gallery from January 1st 2017 to February 28th 2017, open Monday to Friday 9 – 4 pm. A correlating exhibition will be on display this spring in the hallway of the Dodd Center featuring photographic prints and oral histories of veteran’s from the Balkans conflict. Materials featured will be products of Robin’s photographic work and Jordan’s PhD research. At the Archives & Special Collections, we have been ramping up our interoperability. What does that mean exactly? Twinkling screens, chatter of audio recording and tactile interactions with materials on exhibition. Currently, we are featuring collection materials from 50 years ago in the archives to help highlight the year 1966. These selections contain personal correspondence and work from famous artists and activists like Ed Sanders, Allen Ginsberg, Diane Di Prima and Abbie Hoffman. Popular culture and ephemera from comic books to Life magazine relating to the politics of War in Vietnam, LSD, the rise of Black Power and the battle against Communism. 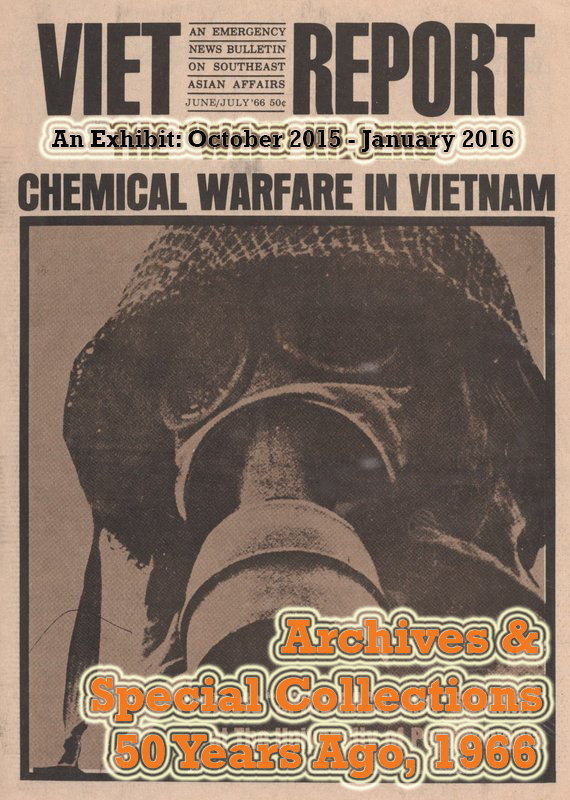 Included in the exhibit are Alternative Press Collection materials documenting the War in Vietnam ranging from the scholarly to the ephemeral. 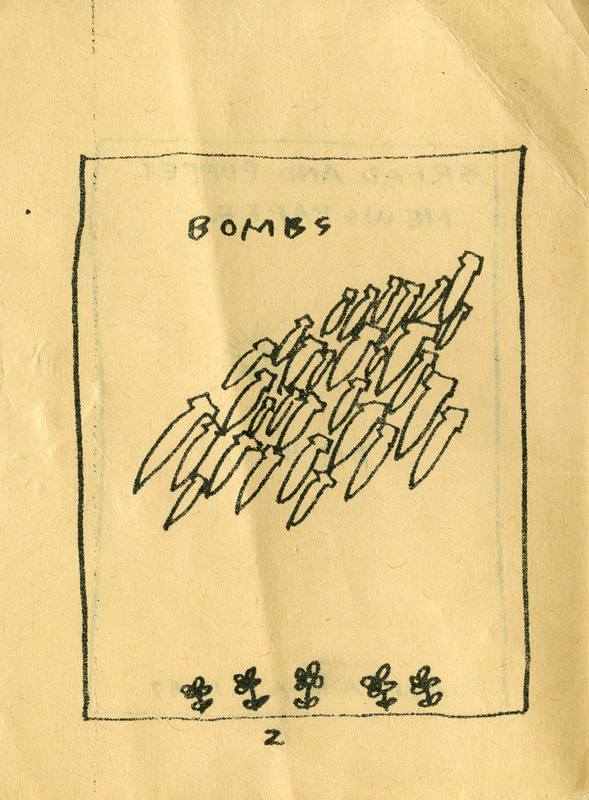 The Poras Collection of Vietnam War Memorabilia contains posters, death cards, publications and satirical army culture objects demonstrating the antagonisms of war at home and abroad. From a personal collection of Navy Corpsman Cal Robertson, his correspondence from Vietnam in 1966 while deployed over two tours as a medic attached to a marine platoon, detailing the daily grind and uncertainties of waiting in the jungle and relaying safety concerns to loved ones back home. 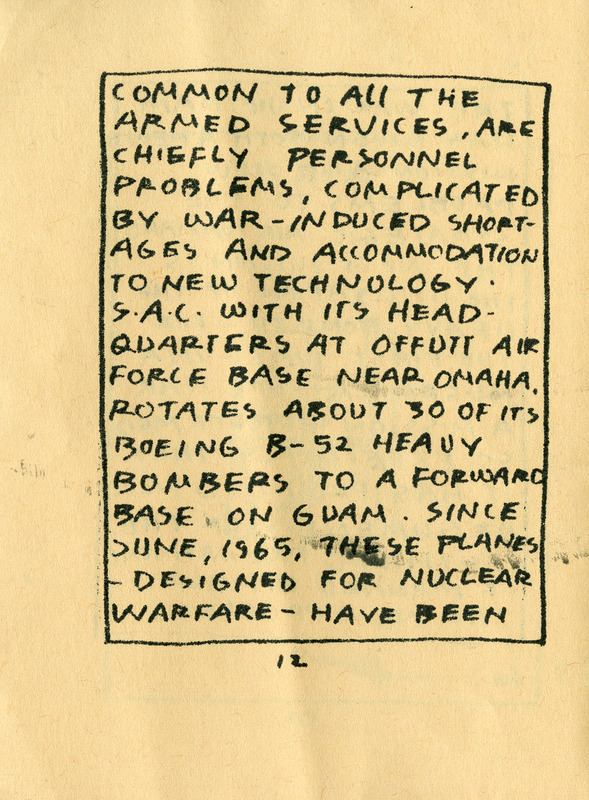 The Alternative Press also includes a trove of anti-war publications such as the Committee for Nonviolent Action. The physical exhibit in our reading room is but one element of our program to promote access to collections through outreach. 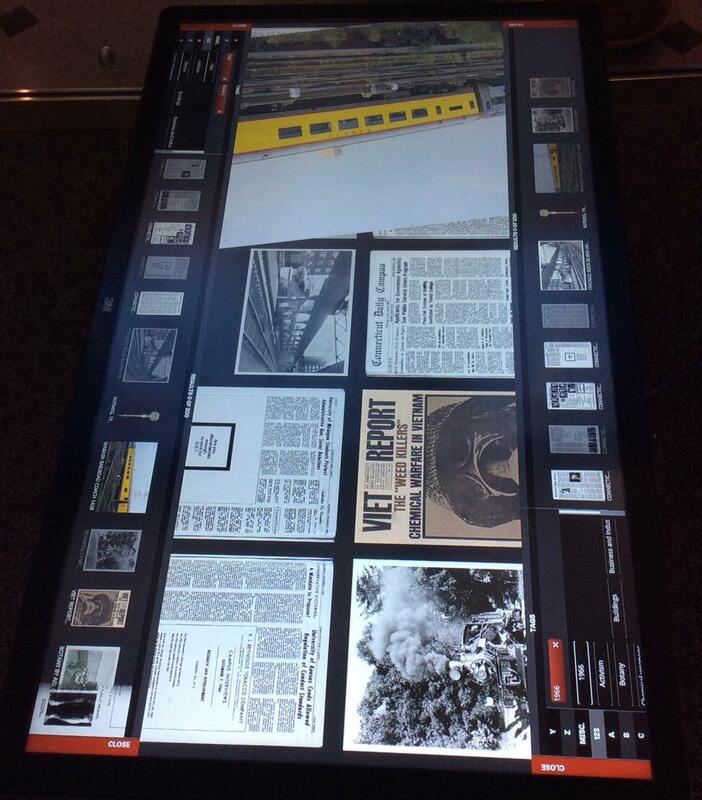 Media displays within the Archives Reading Room featuring additional photographs and videos demonstrate the interactive qualities of physical objects outside of a static display. 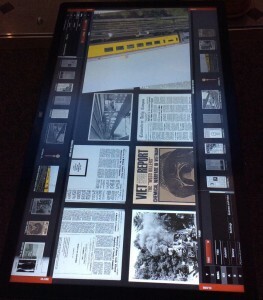 Currently, the newest arrival to the reading room is a large tablet-like touch table which has digital content loaded from our Omeka exhibit on1966 which will be unveiled in the coming month on the web. For more information, follow us @UConnArchives on twitter and facebook where we promote exhibits like this one and events happening around the Archives. 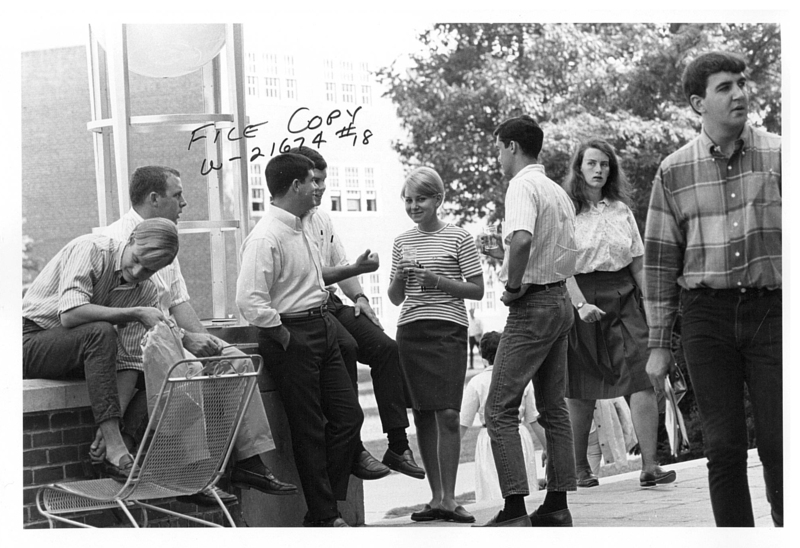 In 1968 students at UConn demonstrated against the ROTC and military recruiting on campus as national uprisings began to foment against the war in Vietnam. Corporate job recruiting by General Electric and Olin Mathieson on Gilbert Rd. 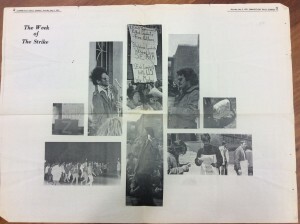 drew confrontations between protestors and state police along with President Homer D. Babbidge’s approach toward a business friendly posture for the university. The combative times of the UConn Crisis in 1968-1969 was the prologue to an even more eruptive year to come. Lyndon Johnson’s escalation of the war led to major backlash in the mid to late 1960s which President Nixon’s administration promised to diminish by quietly widening military campaigns into neighboring Cambodia. 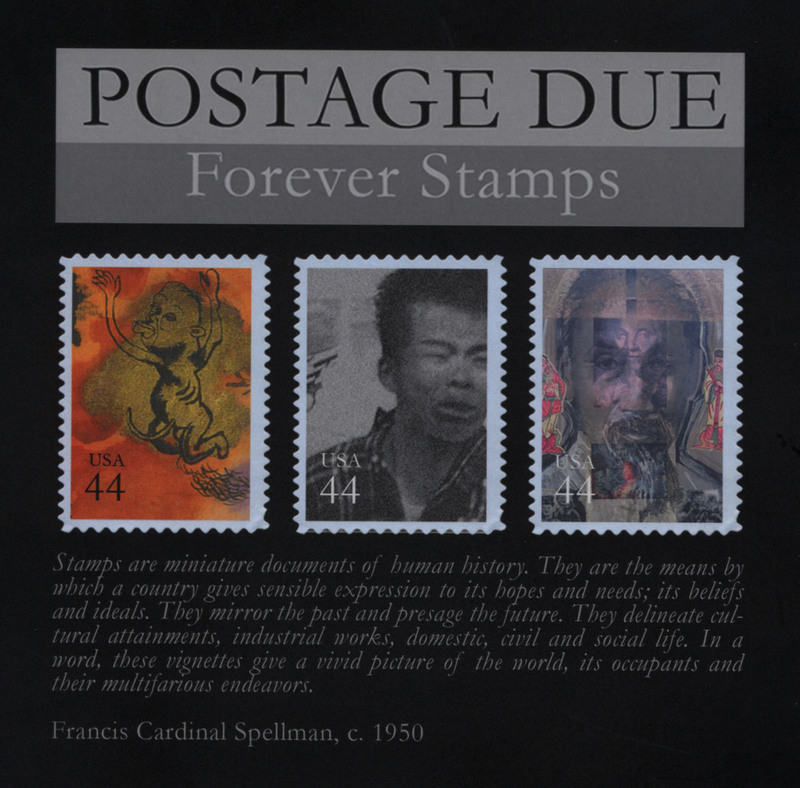 Cover of the book Postage Due: Forever Stamps, by C. David Thomas. 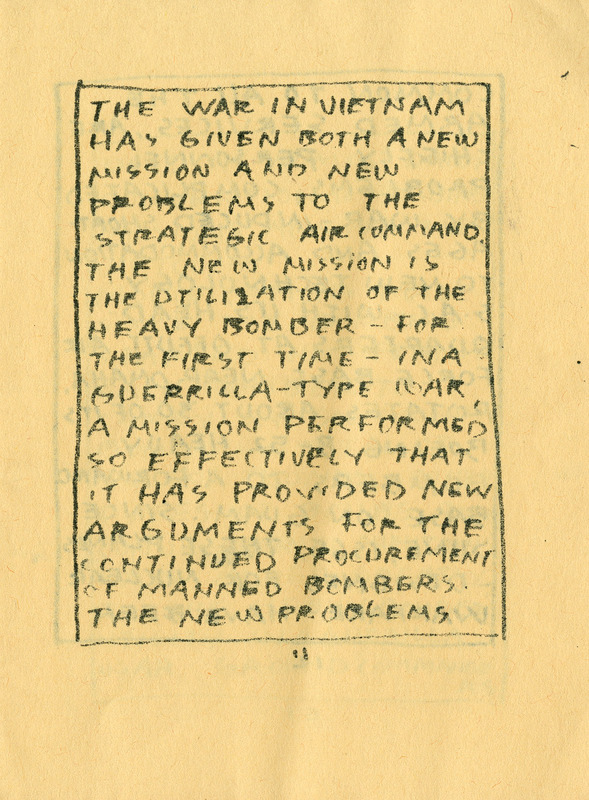 Foley, Michael S. Confronting the War Machine: Draft Resistance during the Vietnam War. Chapel Hill : University of North Carolina Press, 2003. Carroll, Andrew, ed. War letters : Extraordinary Correspondence from American Wars. New York : Scribner, 2001. Caputo, Philip. Ten Thousand Days of Thunder. New York : Atheneum Books for Young Readers, 2005. Written by a Pulitzer Prize winning journalist for children, this book gives a full account of the war, from the reasons for intervention to the battles and those missing in action, to the war’s music and the protests at home. Harrison-Hall, Jessica. Vietnam Behind the Lines : Images from the War, 1965-1975. London : British Museum Press, 2002. Thomas, C. David. Postage Due: Forever Stamps. 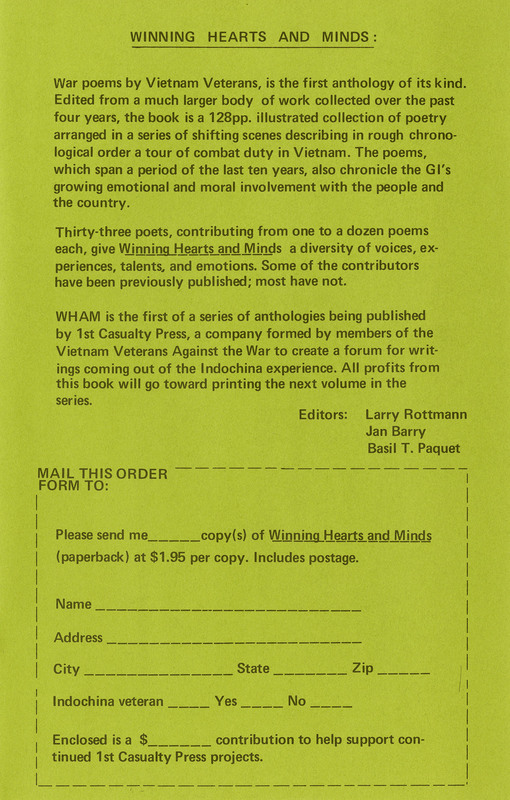 A series of unofficial postage stamps inspired by people and events from the Vietnam War era, self-published by the author in 2009. Wachsberger, Ken, ed. 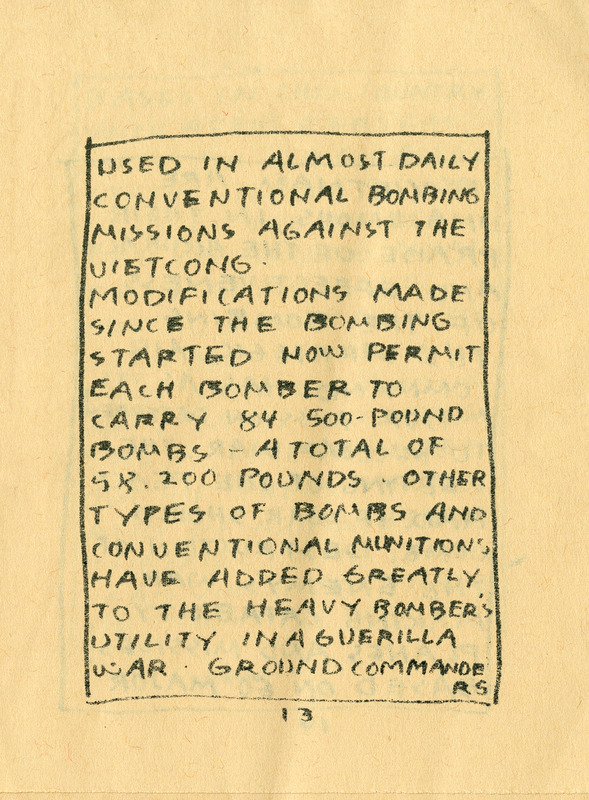 Insider Histories of the Vietnam Era Underground Press. 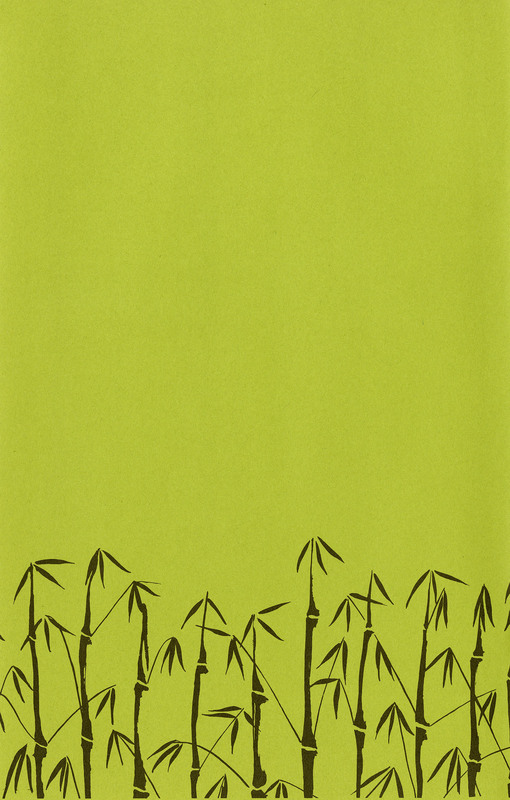 East Lansing : Michigan State University Press, 2011. 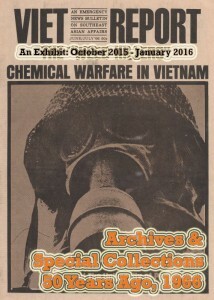 These publications complement our extensive set of journals and books about the Vietnam War in the Alternative Press Collection.